But is this the full story? To what extent were relationships built with community members, and their desires, included in the proposal and negotiations to bring Amazon to Long Island City? And what does this “opportunity” to bring new development and jobs teach us about equity and the necessity of inclusive decision-making processes, especially in cities where gentrification is rapidly remaking urban areas into places where low-income residents and communities of color can no longer afford to live? Long Island City in Queens, New York City. View from Tudor City Pl from Manhattan. Let’s back up and start from the beginning. In September 2017, Amazon, America’s largest retailer announced its search for a location to host its second headquarters. City leaders around the country quickly began to pitch reasons why their city would be great for Amazon. In its request for proposals, Amazon detailed its wish list: the best real estate options in a metropolitan area with at least one million people, incentives offered by state and local governments to offset initial capital outlays and ongoing operational costs, a highly educated workforce and strong university system, and direct access to mass transit and proximity to major highways and international airports. The company’s preferences for location also included “cultural fit,” which it described as a stable and business-friendly environment and local elected officials eager to work with the tech giant. Over two hundred cities joined the bidding war with city and state leaders across the country going through often embarrassing lengths to win the company’s favor. Tucson’s regional economic development group, for example, sent Amazon a 21-foot cactus that the company rejected and donated to an area museum. The mayor of Kansas City purchased 1,000 items on Amazon.com and wrote Kansas City-themed reviews for each one, and the city of Stonecrest proposed de-annexing 345 acres of its land and renaming it Amazon, Georgia. New York Governor Anthony Cuomo, determined to top other competitors, offered to change his name to Amazon Cuomo. Critics of the bidding process speculated that Amazon knew where they wanted their headquarters to be before the proposal application was released to the public, but used the competition for HQ2 as a way to extract large tax incentives that it might otherwise have not received. In early 2018, Amazon narrowed down the list of cities from more than 200 competing cities to 20. 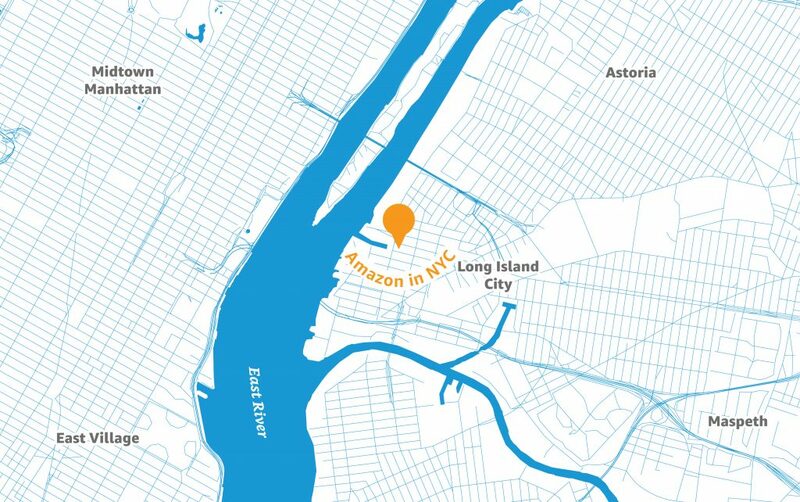 Amazon announced in November 2018 that instead of one location, it would locate their second quarters in Crystal City, VA, a suburb of Washington, DC and Long Island City located in the New York City Borough of Queens. After the selections were made, resistance to Amazon moving to New York grew stronger. Protesters went to the streets to oppose the move. More diverse and nuanced perspectives on HQ2 began to emerge including concerns about Amazon’s role in contributing to higher housing prices and homelessness in Seattle. Some of the more vocal organizations against the deal were local community groups such as an immigrant rights group Make the Road New York, New York Communities for Change, VOCAL New York, the local chapter of the Democratic Socialists of America and the Real Estate, Wholesale and Department Store Union. The groups expressed opposition to the $3 billion in tax incentives that were promised to Amazon and the likely displacement of low-income residents in an already heavily gentrified community. With the potential for an even higher cost of living, intensifying gentrification, increased traffic on the 7 train which goes in and out of Long Island City, the downsides of Amazon moving into Long Island City became clearer as advocates noted that rather than giving incentives to a company owned by the richest man in the world, the city and state should be investing in subways, buses, public housing and other infrastructure improvements. Had it decided to move forward with HQ2 in Long Island City, Amazon’s offices and helipad for shuttling company executives in and out of the area, would have been located next to the nation’s largest housing project where more than half of the residents rely on food stamps. Amazon’s inequitable practices were highlighted as local unions expressed concern with Amazon’s labor practices including long work hours, low pay, and anti-union stance. Advocates also called attention to Amazon’s pitch to have its facial recognition system used by Immigration and Customs Enforcement. There was also the issue of Amazon created a helipad next to public housing where more than half of the residents rely on food stamps. Fierce opposition to Amazon also came from the NYC Council. The Amazon deal was largely made behind closed doors, with no public input, and cloaked in secrecy as part of Amazon’s non-disclosure requirements. With Governor Coumo and Mayor Bill De Blasio leading the charge, the HQ2 deal was made without going through the city council’s land use review process. Although council members had no option for reviewing or blocking the project, they held a series of contentious hearings with Amazon executives that challenged the tax subsidies, job creation estimates, and the company’s potential impact on the city’s infrastructure. With Amazon walking away from Long Island City in the wake of successful community organizing and opposition to HQ2, policymakers and city planners should not lose the important lessons about equitable policymaking and decision-making processes. Power throughout the process was held mostly by Amazon, and the governor and mayor, who like other leaders from other locales that made it to the final round, were seemingly willing to do almost anything to bring the online retailer to their state. Activists, community organizations and council members opposed to the deal, shifted power by mounting an effective coalition of community advocates and progressive elected officials. The HQ2 competition was all about Amazon. And that wasn’t fair or equitable. Communities are waking up and rising up against inequitable development processes that strip them of their power and voice in shaping the change they want to see in their neighborhoods. Opposition against HQ2 is part of a growing realization that promises of economic development and benefits to low-income communities of color often fail to materialize. State and local governments have spent billions of dollars in tax incentives to attract corporations but these deals often fail to deliver promised jobs and business opportunities to communities of color and low-income residents. An equitable approach holds governments and corporations accountable for making sure the community benefits in meaningful and substantial ways, has a seat at the table in the decision-making process, and vested interest in the changes taking place. An equitable development approach to HQ2 would have ensured that community members most impacted by the changes that Amazon would spur in their neighborhoods, had a voice in the process at the beginning and were partners to government in shaping the process and the terms of the deal. The HQ2 competition was all about Amazon. And that wasn’t fair or equitable. Communities are waking up and rising up against inequitable development processes that strip them of their power and voice in shaping the change they want to see in their neighborhoods. 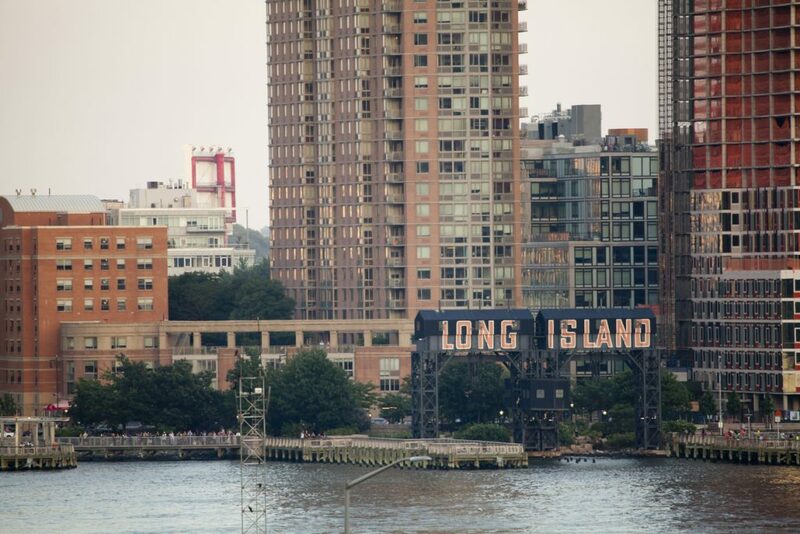 Long Island City is an important wake-up call to policymakers that equity must be at the center of economic development and neighborhood change. Dr. Judy Lubin is founder and president of the Center for Urban and Racial Equity.